I was born 1977 in Basel/Switzerland, studied sports sciences, business/economics and information technology after school. I lived in the german and french part of Switzerland as well as in Germany around Munich. My mother tongue is swiss german and I speak also german, english, french and spanish. 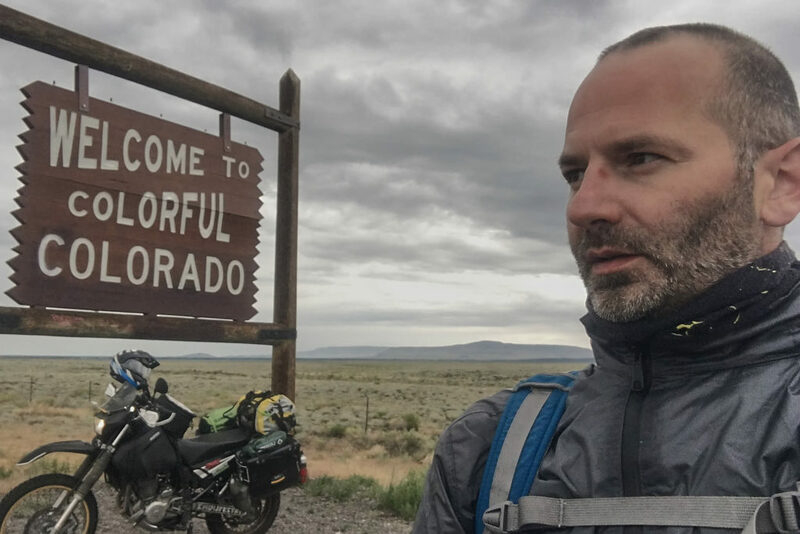 Specialized in Business Intelligence and Datawarehouse Desing, as well as Webdesing, in my spare time I love to play tennis,enjoy a good movie, ride motorcycles and travel. Though I’ve always found myself becoming interested in new activities and topics as time passes and my passion is always evolving into new realms. I started to ride motorcycles right on my 18th birthday (the bike was already waiting for me in the garage whili I was waiting for my learner’s license). Back then, riding for me was mostly a practical thing combined with fun. It meant I was no longer dependent on any public transportation schedules or my parents driving me around. It just meant… freedom. It has always been a dream of mine to do some extended travelling with a motorcycle, maybe even do a RTW trip… in late 2014 I decided time was perfect to take a timeout from work and go on a motorcycle adventure. I opt to travel slowly as it gives me time to explore places, soak up their atmosphere, get in touch with locals. I am not too much into sightseeing as I don’t feel comfortable in masses of tourists and I am more interested in current culture than ancient ones, though I do have a (limited) interest in history. Going slow also gives me time to process everything I experience. Besides discovering the beauty of our planet a journey like this gives me the opportunity to gain new perspectives and grow as a person. Through my blog I hope to inspire others to finish their studies, get their bottoms up and explore this beautiful place we live in. As much as it is possible to learn and grow staying put, I do so even more when travelling!